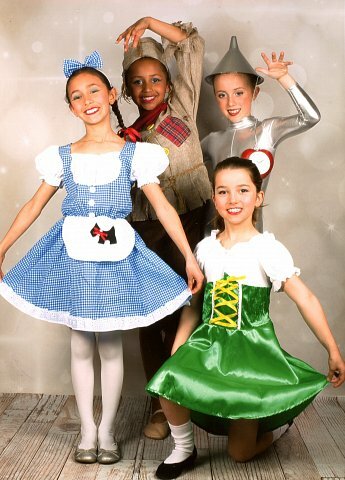 Graham School of Dance offers highest standard, fun weekly classes in Drama and Musical Theatre in Bishop’s Stortford, on the Hertfordshire / Essex borders. Group technique classes include non-syllabus work and pupils may also work individually towards LAMDA examinations, which are held regulalry througout the year. Drama classes are run for pupils age 6+, at Junior, Intermediate and Senior levels. These classes help build pupils' self-confidence and team working, along with enhancing Performance; they introduce a knowledge and love of the theatre, and develop technique, concentration and memory skills. In fun group classes pupils work together, in pairs, as a group and on their own to build on their theatre skills through games, role play and invention, to interpret and develop characters and scenes. Specific technique work plays close attention to the genres of Acting, Miming, Devising Drama, Speaking Verse & Prose and Reading for Performance. Musical Theatre classes are ideal for pupils across Herts and Essex aged 4+, at Mini, Junior, Intermediate and Senior levels.Classes enable pupils to learn the vital skills needed for Musical Theatre, including teaching the necessary techniques needed by participants to deliver the best possible performance through singing, acting and dance, as well as the theory underpinning the genre of Musical Theatre. Pupils are prepared and entered for London Academy of Music and Dramatic Art (LAMDA) Drama and Musical Theatre examinations – see Examinations. Talented students can also by invitation be invited to take extra classes to learn and perform Song & Dance group, solos, duet, trio and/or quartet pieces which are entered at All England Dance Festivals. 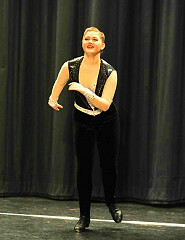 Graham School of Dance has trained medal winners, including at the most recent Finals in 2015. Pupils are also entered for Drama Festivals on a regular basis, with great success. Pupils are given the opportunity to perform in the Graham School of Dance Drama and Musical Theatre Showcase and in our Main School Show, which take place in alternate years. 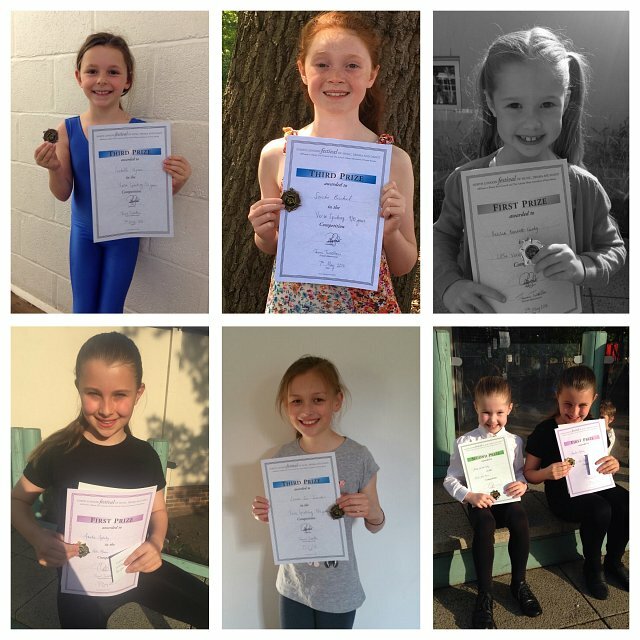 Graham School of Dance always welcomes new pupils, so if you are looking for top quality Drama and Musical Theatre classes in Hertfordshire / Essex, please contact us to find out more! We have a close association with top local vocal training school Voices. Ann Woodfield teaches at our Summer Schools, and many pupils take private or group lessons with her in Bishop’s Stortford. Ann offers audition preparation classes as well as regular opportunities to perform at Showcases. See links for contact details for Voices. 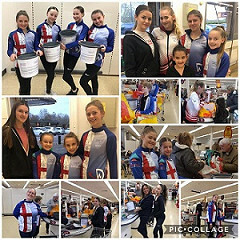 Bag packing at Sainsbury's - thank you to Sainsbury's, their customers and GSD dancers! Strictly's Neil Jones is coming to GSD - exciting new Urban Ballroom workshop! 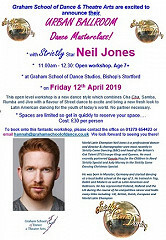 Our latest workshop on Friday 12 April combines Cha Cha, Samba, Rumba and Jive with a flavour of Street dance - a new fresh look to Latin American dancing - how exciting .... and how lucky are the participants to have Neil Jones coming to teach... book up fast everyone as this is sure to be a sell out! HUGE congratulations to our FLORRIE at the ISTD Bursary Awards 2019! We're so proud to announce that Florrie has just become this year’s runner up at the ISTD Bursary Awards in the Senior section after representing the Tap Faculty in this national ISTD competition…what a PHENOMENAL achievement - we’re all so thrilled for you and your teachers! Dance World Cup 2019 - Dance off at Pineapple success! 💫🎉🌟🎉💫🎉Woohoo! We are DELIGHTED to say that after the live auditions at Pineapple 🍍 the following students are through to dance at the Finals of the Dance World Cup 2019!! Congratulations!! 🌟💫🌟Amelie & Talitha - Song & Dance Duet! 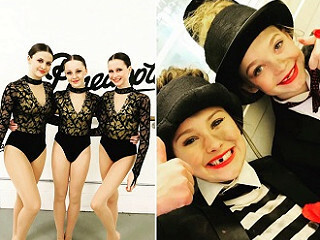 🌟💫🌟Daisy Des, Olivia D & Ellie Ta - Showcase Trio! 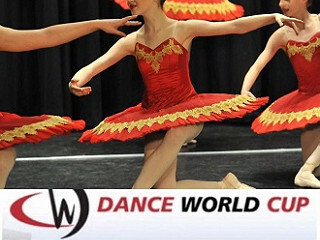 How exciting - Ballet group through to Finals of the Dance World Cup 2019!